Final-coat interior wall-painting on acrylic-polymer-emulsion basis, washable, decorative with pearlescent texture. Acrylic copolymer emulsion based, decorative, finishing layer interior surface paint with color and shine that changes according to the light, angle of view and surface color and can be wiped. 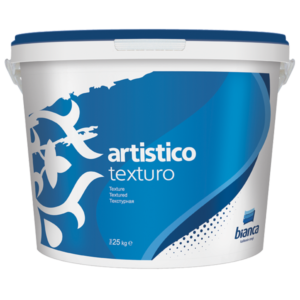 Water based grainy textured, glossy and decorative finishing interior surface paint. Acrylic copolymer emulsion based, shiny, semi-opaque, metal looking decorative finishing layer of internal and external surface paint. Acrylic based, velvet patterned, interior surface decorative product. The appearance of its shading and color change according to how the light is reflected. Water based semi-glossy decorative and aesthetic interior surface finishing paint that gives a marble effect. It is the polish used to improve the gloss of the surfaces on which marble texture products are applied. It is an acrylic emulsion based interior-exterior surface coating material of grainy, opaque structure.